Plus everything else that you will need for the Ultimate 3D Experience! 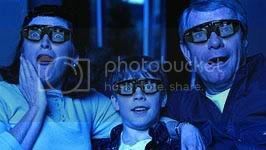 If you have been amazed by a wide-screen 3D film, the i-ware!� 3D holographic-like visuals will astound you! Experience incredible 3D effects! Step into your TV. The world opens up. The 3D action comes right off the screen and the effects surround you. The images are so real. Enjoy hours of great entertainment: Nature, Travel, Sports, Adventure, Horror and more! Bring back memories of real 3D that is typically only seen once or twice in a lifetime where images fly off of your TV screen! 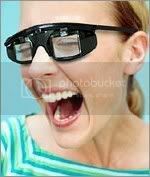 The 3D Theater is easy to set up: The video transmitter and wired glasses easily connect between your TV and VHS video player, DVD player or other source so you can view the DVDs listed on our website (To Include IMAX and MANY MORE) and most other 3D videos and DVDs. Images take on a whole new dimension! The 3D System that comes with this great collection is fully compatible with wireless glasses and best of all you can use both wired and wireless glasses at the same time! ***For International Orders Only: All movies are carefully taken out of their heavy plastic cases and inserted into a very high quality CD wallet in order to make this package much lighter and to make the overall package a lot smaller. All artwork and inserts are included.